Looking to add some fun to your food? Edible eyeballs are the way to go! Make homemade edible eyeballs to add to lunches, snacks, and desserts! It’s probably no shock by now that I love adding eyeballs to food. 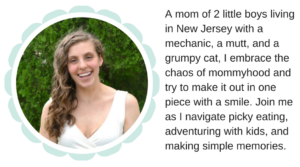 Not only is it fun and interesting, but in my experience it really helps kids get excited to try new food and eat – a feat that sometimes feels impossible for moms of picky eaters. 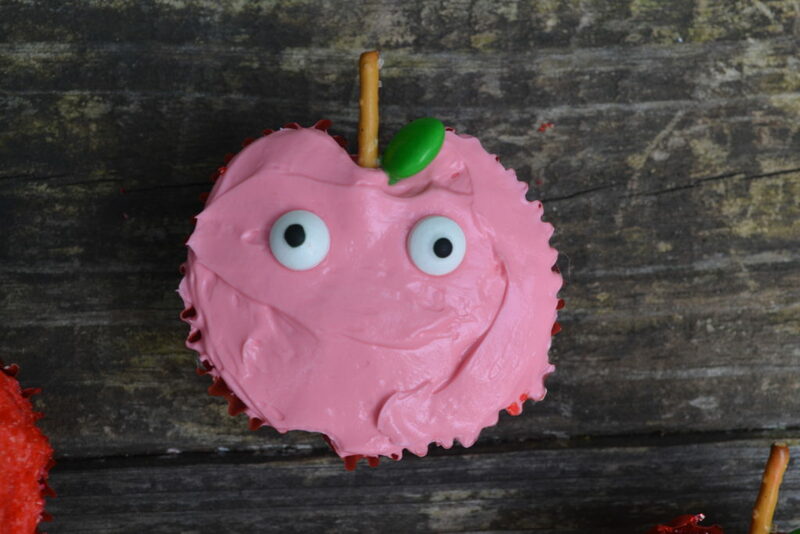 But the big problem is that edible eyes typically some in a sugarly candy that is meant to be added to thinks like cupcakes and other treats. Not only are these choking hazards for littles, but honestly they aren’t very appetizing and they aren’t cheap. Over the years I’ve posted many posts of fun kid food using eyeballs and I always get messages from moms saying they never thought of using cucumbers, crackers, or mozzarella to make eyeballs. So today I’m compiling all of my favorite ways to make edible eyeballs and sharing them here! Here’s to looking boring food in the eye and changing it up! The key to edible eyeballs is simple – one round over another. There are lots of ways to make this happen for both sweet and savory foods, but when it comes down to it we just want multiple rounds in different colors (usually white and black) in order to make little eyeballs and add some fun. 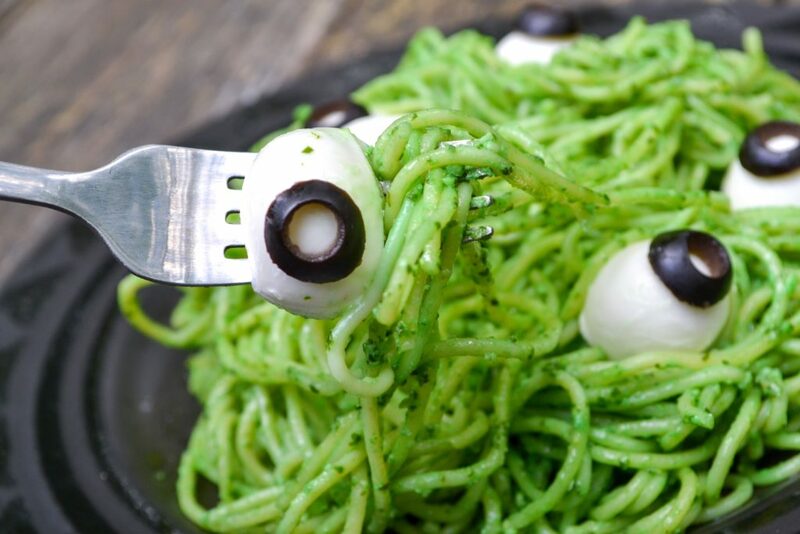 Here are my favorite ways to add edible eyeballs to food in both sweet and savory applications. There’s a few ways to do this, but my favorite is the easiest way – line a bunch of white chocolate chips on a parchment lines cookie sheet, flat base down. Put the pan in a warm oven until the chips start to soften. (you don’t want them to actually melt, just become soft enough to squish.) Grab a handful of mini chocolate chips and gently press them, tip down into the tip of the white chocolate chip. Allow them to cool and set before removing from the parchment and placing into a tupperware to store. You can also use white melting chips an normal chocolate chips for larger eyes. Let’s face it – most of the time, you just need two dots to make a set of ‘eyes’. I love pressing chocolate chips tip down into snacks to make simple eyes on just about everything. Trying to keep away from the candy? Try raisins! If they look a little bit too oval, press them length wise to turn the raisins into perfectly round edible eyeballs. Slice any round fruit – everything from bananas to apples to strawberries – into rounds and add a raisin or chocolate chip to make a healthier eyeball for a tasty snack. *If using a fruit like apples, pears, or bananas, make sure you dip in a lemon water solution to prevent browning – usually 1 tbs of lemon to 1 cup of water works perfectly. The simplest sweet eyeball is definitely an Oreo – twist or use a paring knife to seperate the top cookie from the cream and add a chocolate chip or a brown candy as a pupil and you’ve got eyes perfect for cupcakes, cakes, and other treats. My favorite way to make eyes is to use fresh mozzarella balls and top with a slice of black olive. 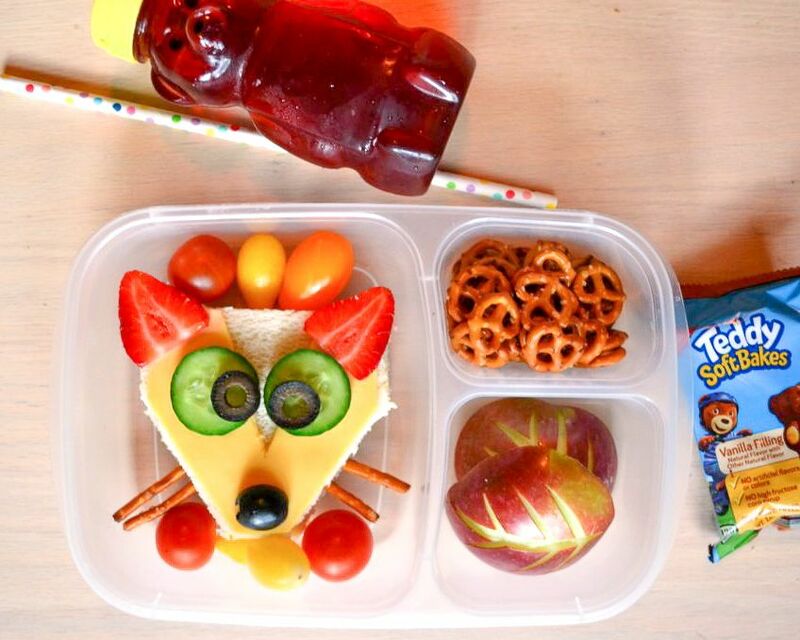 It makes for a fun snack or addition to a dinner to lunch. I used them in my eyeball pesto Halloween pasta. You know those green olives stuffed with peppers? They make awesome spooky eyes! Slice them to lay them on a snack or leave them whole and use a toothpick to secure. Perfect for dragon or monster eyes! Another option is to slice a black olive and layer on top of some cream cheese or ricotta cheese. You’ll get that eye look with less work. One of my favorites for adding to sandwiches and snacks, a slice of cucumber topped with anything from a raisin to a black bean or a small slice of carrot makes a fun, healthy eyeball! Grab a round cracker and top with a round slice of cheese, sliced vegetables, or cream cheese and olives. 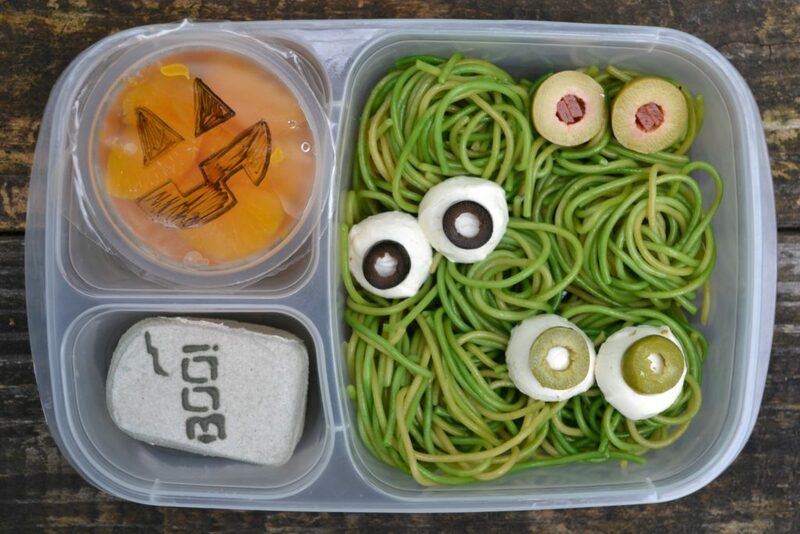 There you have it – 10 different ways to make edible eyeballs and add some fun to everyday food! I hope you try them out on some of your kids food – if you do, post it on Instagram and tag me, @morganmanages so I can see! Okay so tell me – which of these eyeballs would your kids like best? Let me know in the comments!